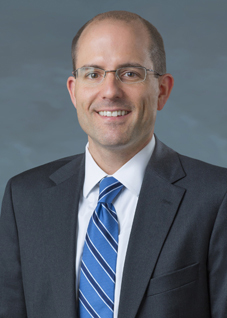 Matthew H. Szalach has joined the Intellectual Property Department at Honigman Miller Schwartz and Cohn LLP as a partner. He is a member of the firm’s Patent Practice Group and is located in its Bloomfield Hills office. Honigman’s IP Department has nearly 80 attorneys and professionals serving clients locally, nationally and internationally. Szalach prepares and prosecutes domestic and international patent applications in mechanical, electromechanical, biomechanical, automotive, controls and electric arts, including reissue patent applications. He also prepares opinions regarding freedom-to-operate, invalidity, patentability and state-of-the-art. Before attending law school, he served as an engineer in the automotive industry. Szalach is admitted to practice in Michigan, the U.S. District Court for the Eastern District of Michigan and the U.S. Patent and Trademark Office. He earned a J.D. from Wayne State University Law School, an M.S. in mechanical engineering from the University of Michigan and a B.S. in mechanical engineering from Michigan State University. Szalach joins Honigman from Harness, Dickey & Pierce, PLC.